The heavy-lift vessel Oleg Strashnov has installed the offshore substation for the East Anglia ONE wind farm in the southern North Sea, some 59 km from the coast of Lowestoft. 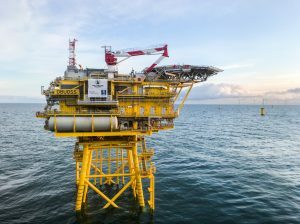 All three offshore substations and the world’s first Reactive Compensation Substation (RCS) have been installed at Hornsea Project One, Ørsted, the owner and developer of the 1.2GW wind farm, said. 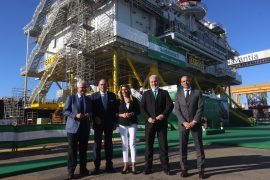 Navantia has completed the construction of the East Anglia ONE offshore substation (topside), which is scheduled to set sail from the shipyard at Puerto Real in Spain in early August and arrive at the UK construction site in early September. 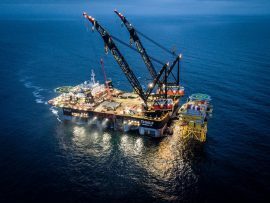 Heerema’s vessel Thialf has installed the offshore substation topside at the EnBW Hohe See offshore wind farm in the German North Sea. 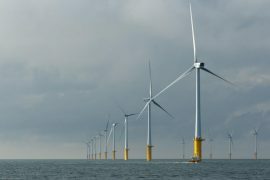 The UK Secretary of State for Business, Energy and Industrial Strategy (BEIS) has approved Ørsted’s application to reduce the number of offshore substations and increase the size of the topsides on the Hornsea Project Two offshore wind project. 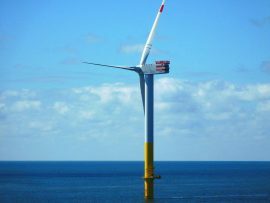 Northwester NV, the developer of Belgian Northwester 2 offshore wind farm, has awarded Bladt Industries with an EPCI contract for the project’s offshore substation, under which Bladt – with its partners Semco Maritime and ISC – is in charge of designing, building and installing the substation. 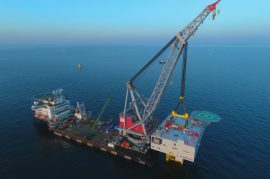 Seaway Heavy Lifting’s crane vessel Oleg Strashnow has installed the offshore substation topside on the 385MW Arkona offshore wind farm in the German Baltic Sea. 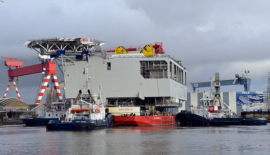 The offshore substation topside built for the Arkona offshore wind farm has left STX France’s yard in Saint Nazaire and is now en route to the German Baltic Sea. 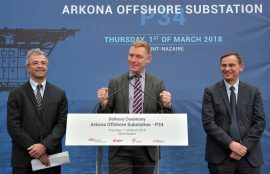 STX France has organised a delivery ceremony for the Arkona offshore substation in Saint-Nazaire, France. 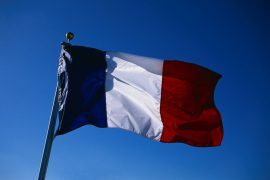 Réseau de Transport d’Electricité (RTE) is seeking a company to provide the basic design of an offshore substation (OSS) which will connect an offshore wind farm off Dunkirk to the French grid. 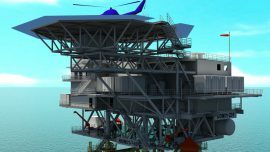 Ørsted has sent an application to the UK’s Planning Inspectorate to reduce the maximum number of offshore HVAC collector substations permitted under the Hornsea Project Two Development Consent Order (DCO). 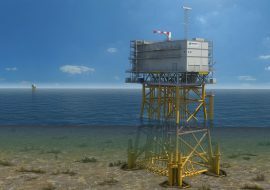 Dutch transmission system operator TenneT TSO has invited certifying authorities to submit their bids for the certification for the execution phase of the Alpha and the Beta offshore substation projects in the Hollandse Kust (zuid) zone, and the pre-contract award phase of the Hollandse Kust (noord) project. Bladt Industries and Semco Maritime have entered into a partnership with Taiwan’s shipyard CSBC Corporation to jointly produce and supply offshore substations to the Taiwanese offshore wind market that is preparing for take-off. 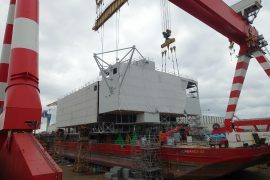 STX France has moved the offshore substation topside for the Arkona wind farm from the Forme B dock in Saint-Nazaire to the Forme 1 dock belonging to the Port Authorities. 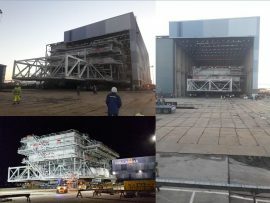 ENGIE Fabricom has rolled out the substation topside being built for the Hohe See offshore wind farm at the company’s yard in Hoboken, Belgium. 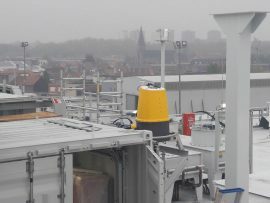 ZephIR Lidar has released details of a new meteorological standard which shows that offshore substations on operational wind farms can now be delivered with a ZephIR 300M wind lidar as part of a Meteorological Monitoring Module, eliminating the need for a traditional meteorological mast. 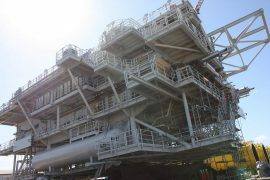 Hollandia Offshore and Croonwolter&dros have moved the Kriegers Flak B (KFB) offshore substation topside from Hollandia Offshore’s production hall in Krimpen aan den IJssel and into the yard. Parkwind has issued a tender seeking companies to design, build, install and commission the offshore high voltage substation (OHVS) for its Northwester 2 wind farm in the Belgian North Sea. 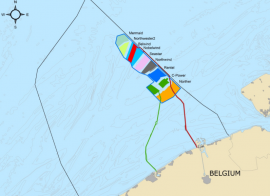 Belgian offshore wind developer Otary has issued a tender for engineering, procurement, construction, and installation (EPCI) of high voltage substations on the Seastar and the Mermaid offshore wind farms. 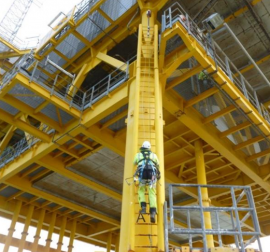 Venko Offshore, a Dutch company providing industrial coatings, has recently secured repeat business for maintenance and integrity services for an undisclosed blue chip client. 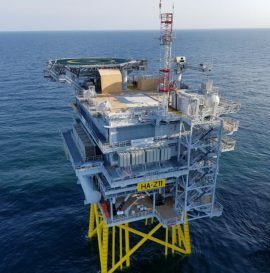 The offshore substation for the Nordergründe offshore wind farm has been installed and the project can now move to final commissioning, after being delayed due to the insolvency proceedings of the transformer platform manufacturer, BVT Bremen. 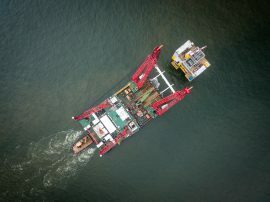 An offshore substation built for the 111MW Nordergründe offshore wind farm has been loaded onto a barge in Bremerhaven and is en route to the installation site in the German North Sea. 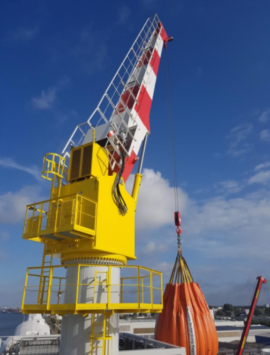 HMB Lintec marine GmbH has signed contracts for the supply of pedestal offshore cranes for three offshore substations located in German waters. 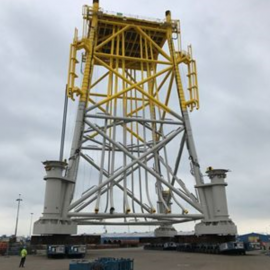 Iemants, part of the Smulders Group, loaded out the jacket foundation for the Merkur wind farm offshore substation from its facility in Vlissingen, the Netherlands, on Tuesday, 5 September. 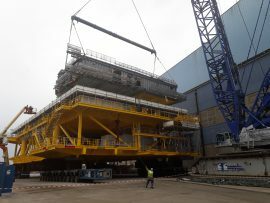 STX France AS has lowered the third and final block of the offshore substation topside, being constructed for the Arkona offshore wind farm, onto a transportation barge in the drydock of the company’s yard in St. Nazaire.